Now is the Lent season. Soon it will be Good Friday (the day Christ is crucified) and Easter Sunday (The day Christ was resurrected). I used my KOH nail polish that I won from a giveaway. This colour is called Breath Deeply 250. 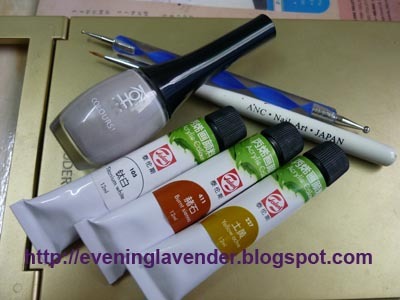 It is a greyish offwhite color that is perfect for newspaper nail art. I shall show you how to do newspaper nail art some other time. 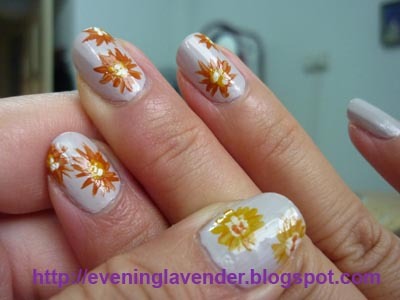 I named this nail art "You are my Sunshine" to describe the resurrected Jesus Christ as the sunshine of my life. He has been my source of strength and hope throughout these years. Life is hard but God is good! 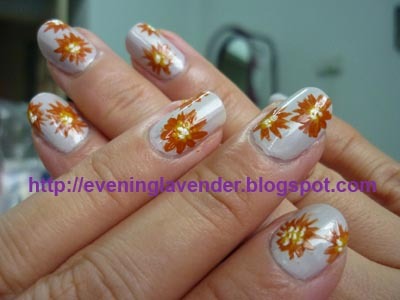 Do you like this nail art design? It's actually inspired by Rina of SimplyRins. She is a very talented nail art guru. 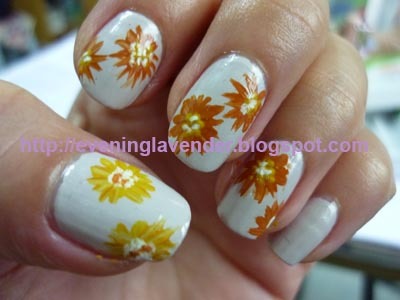 You can visit her and see the video on how to do the sunflower nail art. Her drawing is perfect. I still have a lot to catch up. See ya. Have a lovely day! 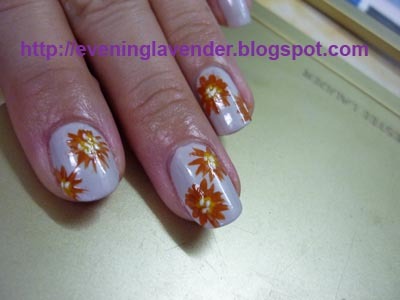 If you want to see my other nail art design, please click here. So nice next time u do for me la..
Nice can do for me?